A colleague of mine said this to me some time ago, and it really stuck with me. First off, it literally makes sense, as Iowa is hundreds of miles from the coast. While sea level rise is a concern in a changing climate, it directly affects the states with coastlines, such as North and South Carolina, but not Iowa. It can however cause an impact on Iowa in a different way. For example, warming temperatures leads to melting ice leads to sea level rise which can change weather patterns enough to cause drought in Iowa. The deeper meaning behind the quote is important for scientists to understand. Recently, I talked about the need for better visualizations and being able to tell a story. Stories are even more interesting when people can relate to them. If a scientist goes to Iowa to talk about sea level rise, you’ve lost them. Yes there are indirect impacts, but they don’t care because it doesn’t affect them directly. It’s not just Iowa either. 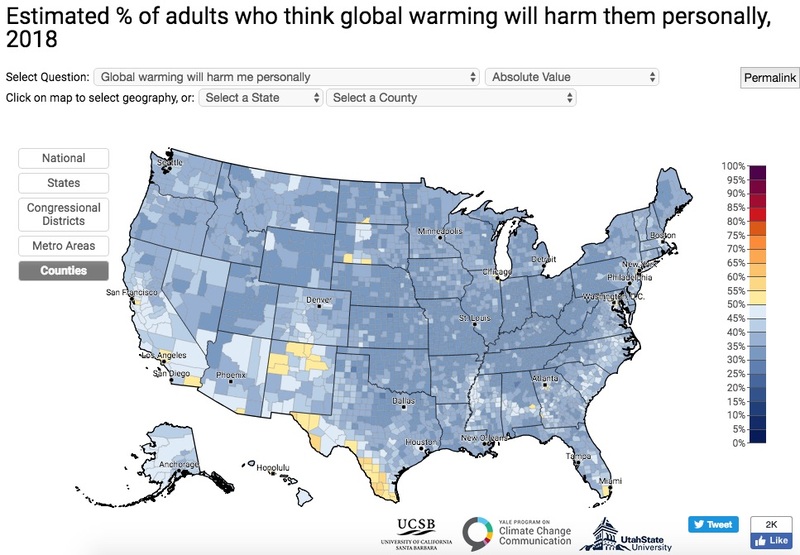 Most people in the United States don’t think climate change is going to harm them, as seen from a recent study below. The United States Global Change Research Program is trying to change this paradigm with their climate reports. 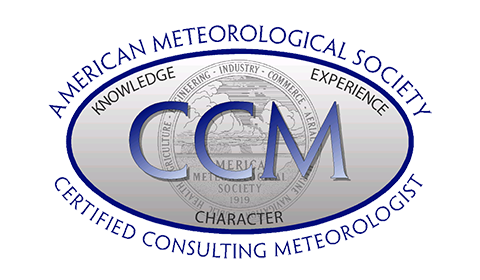 USGCRP consists of 13 federal agencies, and they are congressionally mandated to produce a report every few years describing the state of the climate. They have been working on the fourth version for some time now, and last week they released Volume 2, which describes impacts, risks, and adaptation. The first volume, describing more of the science, was released last year. The front cover of the report is from a wildfire in Montana’s Glacier National Park in 2018, which is a powerful image in of itself, and is relatable to many residents in the western parts of the United States, who are seeing unprecedented wildfires this year. There’s a lot to unpack in this report, but it splits up the chapters by sectors (such as water, forests, transportation, human health) and regions (northeast, southeast, great plans, Alaska). This means not everyone has to read the report end to end, but rather find the region or sector they care about, and learn more about how climate change will personally affect them. This is a subtle attempt by the authors to make it more relatable to everyday US citizens. A lot has and will be impacted by climate change, including agriculture, infrastructure, and health. But these all have something that can be relatable to every person in the United States: their wallet. People in Iowa don’t care about sea level rise, but I’m sure they care about grocery bills getting more expensive, or the cost of heating and cooling has gone up. Climate change is impacting them this way, and they may not even realize it. The entire report is available to read below. It is designed to be relatable to everyone, so pick a topic of interest and read on!